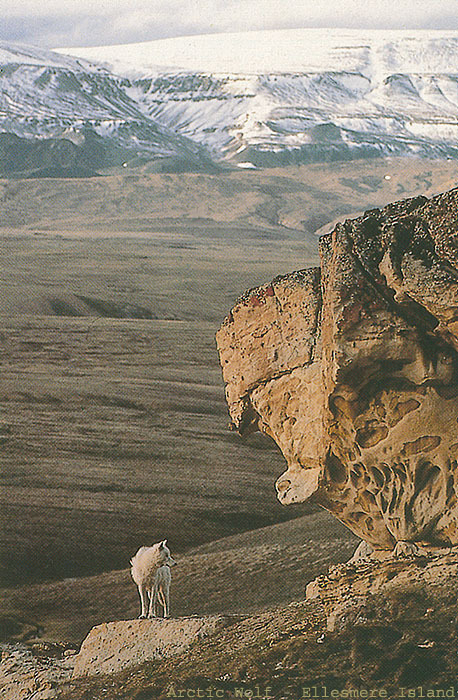 White Arctic wolf, picture of a third generation domesticated wolf in the Sierra Nevada. 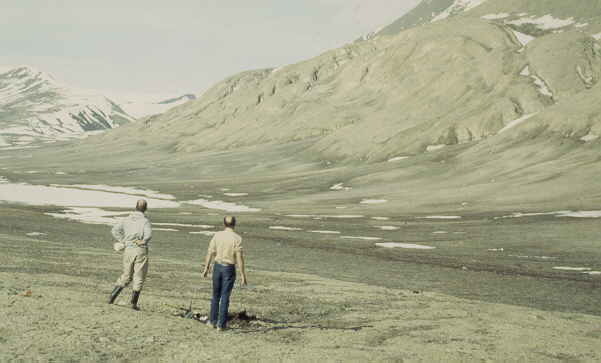 White Arctic wolves, see 1, are rare but very visible when appearing. They are big, having the size of a Saint Bernard dog, twice the size of a German Shepard, but with their long skinny legs look a lot smaller. They show some interest in our camps but keep a large distance. 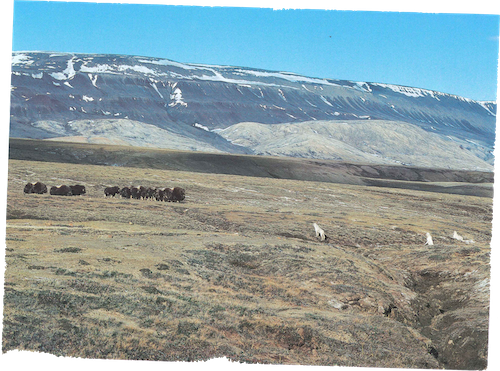 Looking at 5 white Arctic wolves at a km distance (white dots, not visible), circling the camp for a few days. 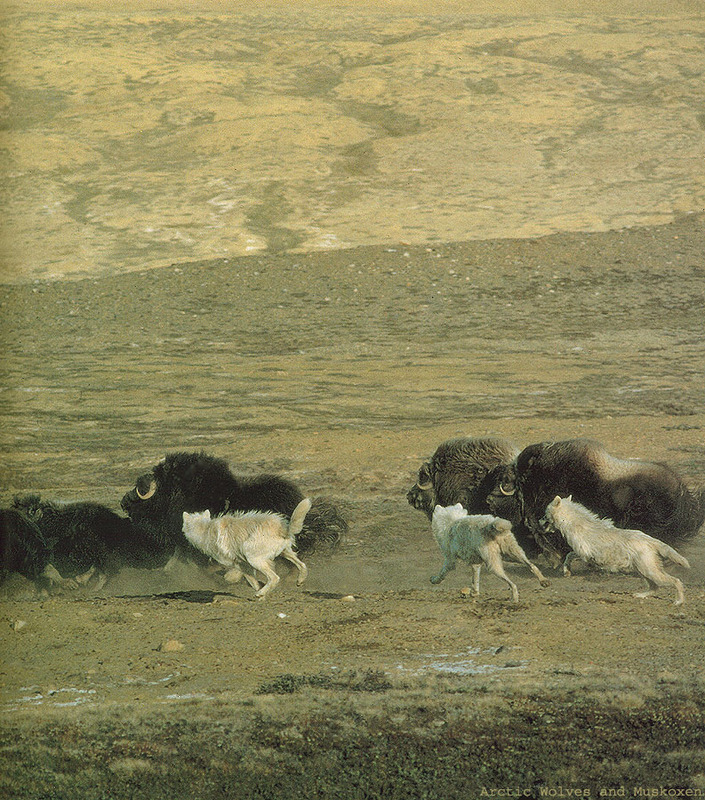 Arctic wolves chasing muskox. Photograph by Jim Brandenbug. 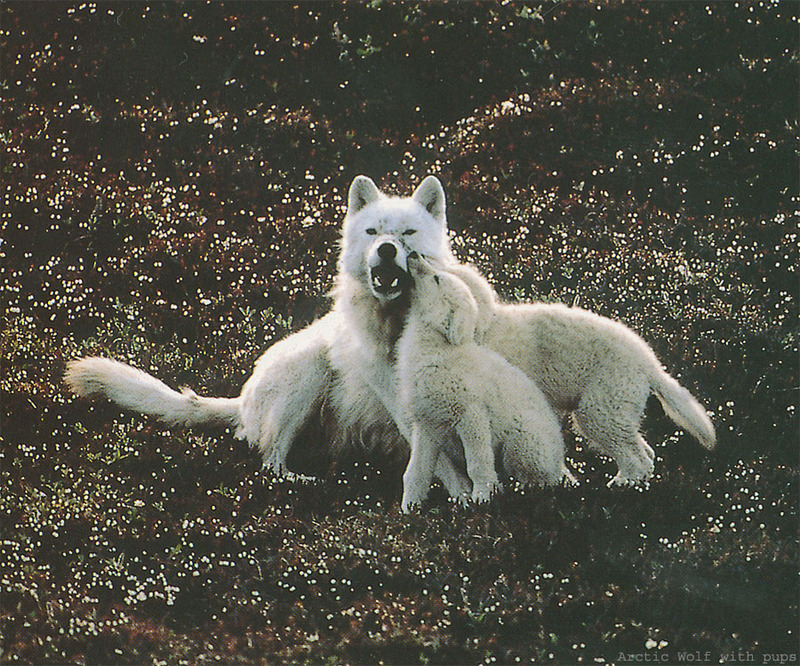 Arctic wolf with pups. Photograph by Jim Brandenbug. 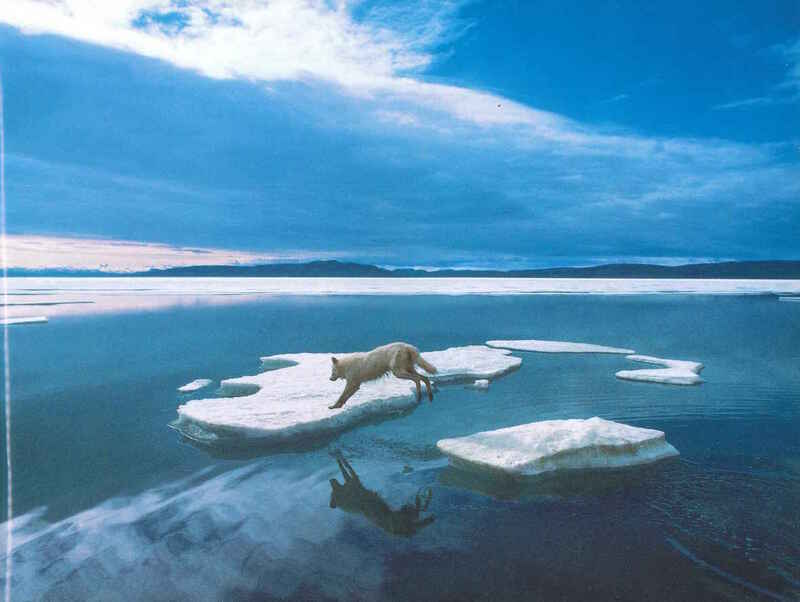 Arctic wolf. Photograph by Jim Brandenbug. They will only come close to investigate when you are out of the camp and have old smelly garbage. On one occasion, they took the 'back-door' ripping a tent and scattering 4 week old garbage around.